I had a rider a while back who had trouble keeping her hands still (really, who doesn’t when you start out), so here is a bunch of info I looked up about it! It’s not really a riding skill or aid, but it’s definitely a foundational concept, so I did it in What, Why, How style. Enjoy! Quiet hands are hands that follow the horse’s head movement, maintaining the same amount of contact on the reins at all times, and softly apply the rein aids. When the rider’s hands are quiet, the horse can relax and respond correctly to the rider’s requests. Anything less interferes with the horse’s movement and can cause the horse to evade the rider’s hands. 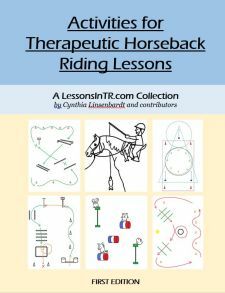 If the rider’s hands are firm, unyielding, never move, let the reins go loopy then tight, or move out of sync with the horse’s horse, the horse may tense up, pull the reins, open his mouth, toss his head, change his movement, become uncomfortable to ride, and so on. Follow the horse’s movement with the hands by keeping the whole arm relaxed and elastic, opening and closing all the joints – shoulder, elbow and wrist – in rhythm with the horse’s head bobbing up and down and side to side. The amount of arm movement depends on the gait and collection and individual horse. The rein connection should be steady and taught but not tight. The rider should feel the same amount of connection through the reins at all times. Good hands goes back to a good foundation: balanced posture, independent seat, proper hand position, elastic joints, and following the horse’s movement. Balanced Posture = Correct ear-shoulder-hip-heel alignment, shoulders and hips aligned, looking ahead. Correct posture allows the rider to balance using their seat. Unbalanced posture causes the rider to seek to use other body parts to keep their balance, such as their hands on the reins. Encourage sitting up tall (instead of rounding the shoulders), as lifting the ribcage off the spine allows the lower body to move with the horse while the upper body remains still. Independent Seat = The seat, hips and lower back are able to move and absorb the horse’s movement without affecting other parts of the body, such as the hands. When the hand is not affected by every movement of the seat, they can stay still and quiet. Proper Hand Position = Arms hanging by the ribs, stabilized by the torso (instead of being out in the air bobbing). Elbows are bent but flexible. Hands are held thumbs up and steady as though holding a glass of water (the more a hand turns into a fist, the more firm and fixed it becomes, killing any feeling of the horse’s mouth). Elastic Joints = Elastic joints allow the rider to follow the horse’s motion. Tension anywhere can lock up the body and cause bouncing, and affect other areas of the body such as the hands. The elbow joint especially must open and close to follow the horse’s head. 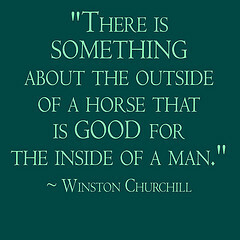 Follow The Horse’s Movement = With the whole body, not just the hands. The seat lets the horse’s hips move it. The spine adjusts to these balance changes. The hands follow the bob of the horse’s head. It may also help to understand the basics of correct hand usage and balanced range of motion: from neutral position the hand may yield, sustain, receive, open the fingers, tighten like on a sponge, extend from the elbow, or bring the elbow slightly back. Note that riders do not need to be perfect at all these foundational elements before working on quiet hands! However, the better these basics, the easier it will be. Shoulders kept in front of body while rounding back (often due to injury or habit) = remind rider often to bring the shoulders back, pinch a penny between their shoulder blades. If their arms grow tired and they have constant tension in the back, this could be the culprit. Short arms = the rider with short arms may keep them straight and hands low, leaving little room for elastic joints. Ask them to carry their hands higher than a long armed rider to maintain the line from bit to wrist to elbow. Imagine you are holding a baby bird in each hand – don’t hold too tightly or you’ll squish him, but don’t hold too loose or he’ll fly away! Imagine you are holding an egg in each hand – don’t hold too tightly or you’ll have a mess, but don’t hold too loose or you’ll drop it! Have the rider hold two pieces of baling twine or even reins tied to something. Take up contact and teach them the right amount of weight to feel in the hand. Have them adjust the weight by softening, opening, or closing the arms. Have them go back and forth until they feel this and can transfer it to riding when they get too strong or loose in the reins. Hold the grab strap. Ask the rider to work on opening and closing the elbows so they are not actually pulling on the grab strap so much. Practice at all the gaits. Press their knuckles or pinkies on the horse’s neck. Ask the rider to open and close the elbows, and not lean on the knuckles, just using this to keep their hands steady. Progress to asking the rider to do this for a few strides on, a few strides off, and so on until they use it just to check in every so often. >>> This really helped one of my riders! She didn’t realize when her hands came up and her balance fell back. She noticed the difference so much she continued checking in on her own every once in a while without my prompting. >>> Note: short armed riders may not be able to do this so well. Hold a stirrup leather buckled around the horse’s neck. They should hold it with just enough pressure that it’s not loose at the base of the horse’s neck. Put them on the lunge line and practice keeping that pressure at all the gaits. Do any of the above on the lunge line so the rider does not have to worry about controlling the horse while also focusing on their hand contact! Ride holding actual cups of water instead of the reins (or with)! The water will be a huge tattle tale and very visible physical learning tool. Main point: quiet hands has less to do with your hands, and more to do with your posture, seat, balance, and elbows! Focus on the basics and eventually it will come. How do you help your riders learn quiet steady hands?